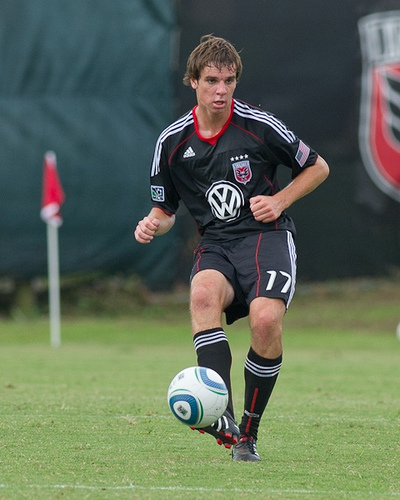 Conor Shanosky (PAC 91 White) - Signed with DC United in 2010, becoming the second Premier AC trained player to progress from DC United's academy to professional play. Shanosky played with the United States' U-20 team in Ireland. He has played on loan from DC United to the Ft. Lauderdale Strikers of the North American Soccer League and currently is on loan to the Richmond Kickers of the USL while also playing in DC United games. Bill Hamid - PAC developed from Age 6 - Bill became the first DC United Academy player to sign with the first team. When he made his professional debut with DC United, he became the youngest goalkeeper in MLS history to win a regular season game, besting the record set by Tim Howard (currently with the English Premier League). Bill has been on the US Men's National Team, including the team's win in the 2013 CONCACAF Gold Cup.